Ms. Voisin notes that she became a vegetarian and then vegan while living in a small town in South Carolina; she now lives in Jackson, Miss. “If I can be a vegan in these not-quite-vegan-centric places, you can do it anywhere,” she said. . . .
At 50, Susan Voisin looks as good as many women half her age. She credits that to her vegan diet. Voisin makes it clear: Being a vegan, which includes eliminating all animal products from her life, is a personal choice. . . . In 1994, Susan became a full vegan. 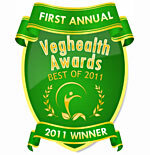 Vegans endeavor not to use or consume animal products of any kind. Properly planned vegan diets are healthy and fulfill all nutritional needs. . . .
Susan Voisin’s Jackson dining room may now be her office, photography studio and in-house props storage facility, but the focus remains on food. What started as a hobby and a service has grown into a bread-and-nut-butter (in limited quantities) blogging business, sharing her kitchen creations with fellow readers who eschew meat and animal products, and even some who don’t. . . . Her blog will make your mouth water, even if you’re not a vegan. Susan Voisin is a self-described “health-conscious vegan who likes good food.” Her friends and fans will tell you she’s being modest, that she’s also a great cook and a fantastic blogger. . . .
Read this blog if: You want to get out of your usual dinner-time routine, and save a few calories while you’re at it. Never before have the words “fat free” made our mouths water, but with Susan Voisin’s creative recipes and compelling voice, you’ll never even notice that the fat’s been cut. An online search of “vegan blog” turns up 423,000 results. For those of us with limited pocket money, the Internet is the next best thing to a real bookstore. You can find a number of interesting online journals brimming with everything from ambitious food photography to ultra-liberal opinions about animal rights, and my personal favorite – fancy and delicious vegetarian recipes yanked from cookbooks I covet but can’t afford. . . .
Four words I’d use to describe Susan: talented, wise, humble and real. Get to know Susan!…. 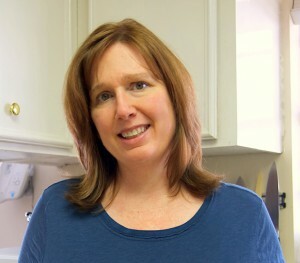 Susan Voisin is the powerhouse blogger behind Fat Free Vegan Kitchen, one of the most beloved and oft-referenced vegan food blogs on the Internet. Her tasty recipes have a tendency toward winning everyone over—including carnivores…. Susan Voisin is the fabulous blogger behind the Fat Free Vegan Kitchen who agreed to tell us a few of her secrets. Susan became a vegetarian in 1988, and then a vegan in 1994. She doesn’t cook with added fats such as margarine, shortening, or oils. However, she does cook with coconut milk, avocados, nuts, and seeds, which are great sources of omega-3 fatty acids. . . .
Thirteen years ago, Susan Voisin went vegan and became a staunch supporter of animal-product-free, low-fat foods. 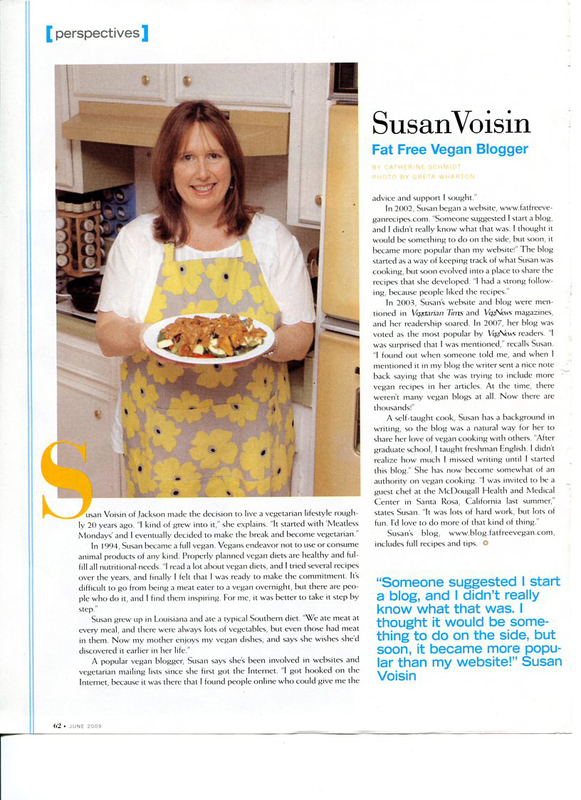 In January 2006, Voisin started her blog, FatFree Vegan Kitchen, out of a desire to share vegan recipes with readers around the world. . . .
Susan Voisin gives me blogging envy. Her “Fat Free Vegan” blog is just too gorgeous for words. See for yourself! She’s been posting for a year and has a devoted following, opening up the word of delicious vegan cooking with tantalizing recipes and amazing food photos. Susan lives with her husband, daughter and cats in Jackson, Mississippi….